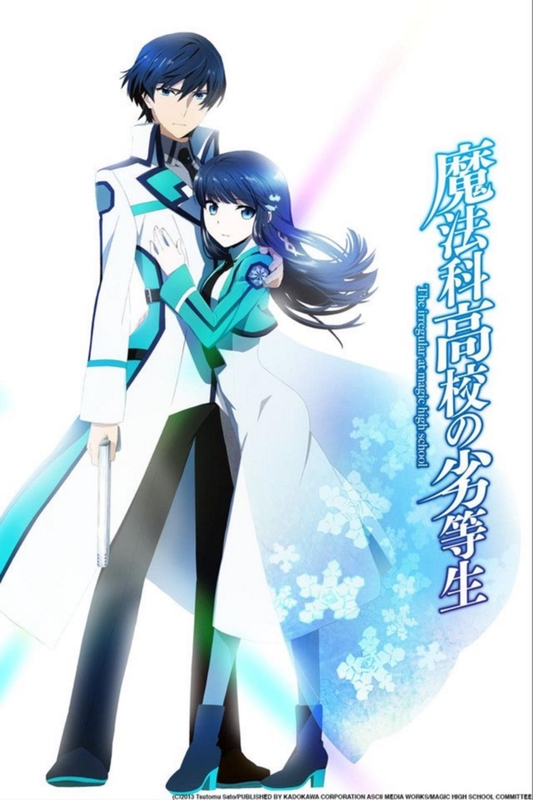 The Irregular at Magic High School began airing in April of 2014 and concluded in September. The story takes place during the early years of the 21st century, and scientist have been able to systematically create magic; turning it from the stuff of fairy tales to a series of digital programs carried out by magicians using CADs. Tatsuya and Miyuki Shiba are siblings who have just been accepted to First High School, the most prestigious of the magic high schools. The students of this school are split into based on ability. Those with more talent, such as Miyuki, are called “Blooms” and those without, Tatsuya, are referred to as “Weeds”. However, what these ranks fail to realise it the true power that belongs to Tatsuya, and how he may just be the most powerful student at the school. My Review: This show took me forever to watch, when I first picked it up I got right into it and put away the first few episodes really quickly. However, as the show went on I felt it began to get really stale and eventually I just really wanted to finish it and get it over and done with. The problem I found was that; particularly for the main character, nothing much changes, it’s just the same thing over and over again. While talking about the main character, at first I thought he was pretty cool but after a while, he just became really boring. Similarly, the story just began to recycle the same layout for events. I think that the show could definitely have been much better if it hadn’t been so predictable.